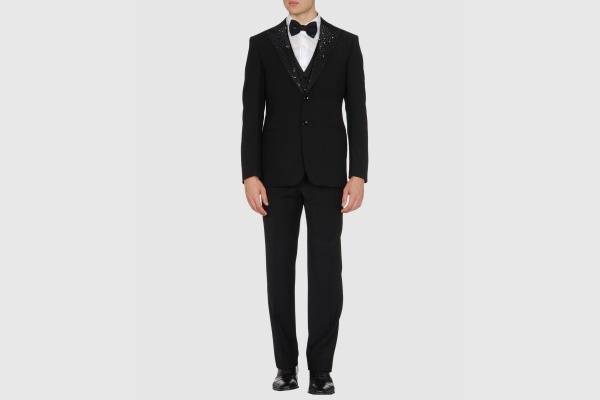 Gai Mattiolo Couture goes for full formalism with this charming three piece tuxedo. Featuring peaked lapels, a two button single breasted design, and matching waistcoat, this bit of eveningwear is quite flash, and goes well with subdued shoes and a plain front shirt. Available online now. This entry was posted in Black Tie, Suits and tagged Gai Mattiolo Couture. Bookmark the permalink.